"We are in the business of developing human beings." 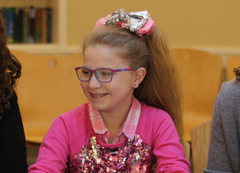 JCDS, Boston's Jewish Community Day School, is among the five Jewish day schools to receive a combined total of $11.25 million in a challenge grant to support long-term tuition assistance for middle-class families. George Krupp, chief executive of Berkshire Property Advisors, and his wife, Liz, have created the Krupp Fund for the Future, as a “challenge gift" to support and encourage Jewish day schools to prepare for their financial future. Schools will receive money from the fund once they “work for it" and also raise money, George Krupp said in a telephone interview. He said the challenge was meant as a catalyst for the schools, which already give financial aid to lower-income families, to raise money to help middle-income families. Otherwise, such families soon will not be able to afford tuition, and the schools may have to close, Krupp said. JCDS is proud to be part of the 2014 cohort of JCAT: Jewish Court of All Time, which enables students to delve into history by adopting a historical figure and acting in that role, while interacting with a large cast of their peers and adults playing other characters. Mazel tov to our Head of School, Dr. Susie Tanchel, for receiving the Sidney Hillson/Rose Bronstein Memorial Award for distinguished leadership and commitment to the centrality of Hebrew language in Jewish education and the advancement of Jewish culture and civilization! Dr. T accepted this award during the Hebrew College commencement ceremonies. JCDS 6th grader, Abi Tenenbaum, is one of the three winners for Moment Magazine's 2014 Publish-A-Kid contest for her book review of Hereville: How Mirka Met A Meteorite! Her book review will be published in the upcoming magazine in print and online! Mazel Tov! In December, JCDS along with 28 other schools from across North America, participated in the RAVSAK Art Contest. We are thrilled to announce that the JCDS Kindergarten Creation Mural won first place in the visual arts category for the elementary school division! The Red Sox World Series trophy event was covered by Boston.com, the Watertown Tab, and the Watertown Patch. 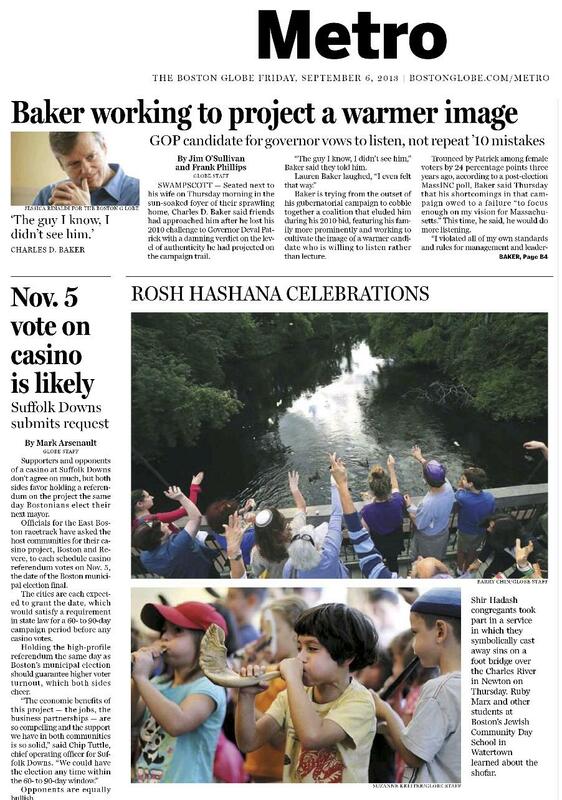 JCDS students are pictured blowing the shofar at the Yom Truah assembly in the Boston Globe! 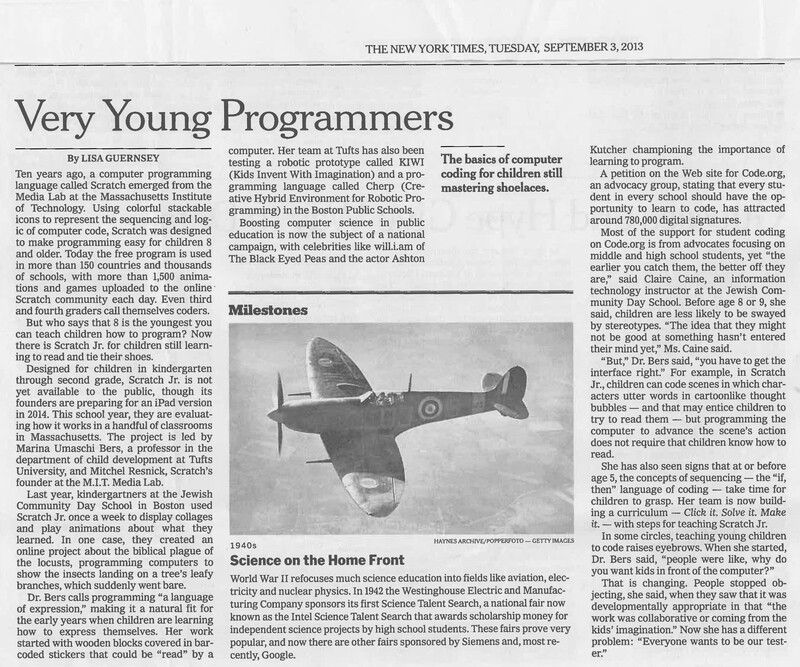 The New York Times wrote an article about Scratch programming and its use in schools. Mazel Tov to JCDS parent, Marina Bers, on her great work and to our IT guru Claire Caine who helped implement this program at JCDS! Cohen Hillel Academy in Marblehead, Gann Academy in Waltham, JCDS, Boston's Jewish Community Day School in Watertown, Maimonides School in Brookline, The Rashi School in Dedham and Solomon Schechter Day School of Greater Boston in Newton are pleased to announce that they will be participating in Generations Boston, a Jewish day school endowment building initiative supported by Combined Jewish Philanthropies (CJP), Boston's Jewish Federation, and Partnership for Excellence in Jewish Education (PEJE), and the AVI CHAI Foundation, designed to assist Jewish day schools in transforming the way they fund their budgets by soliciting endowment and legacy gifts.